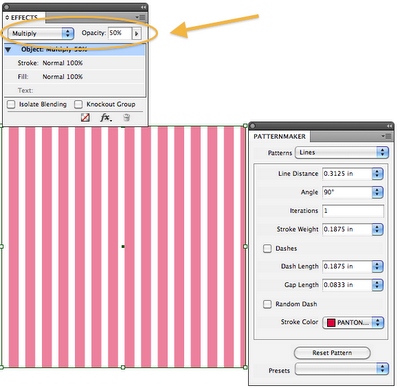 This technique is easy when using TeaCup PatternMaker. 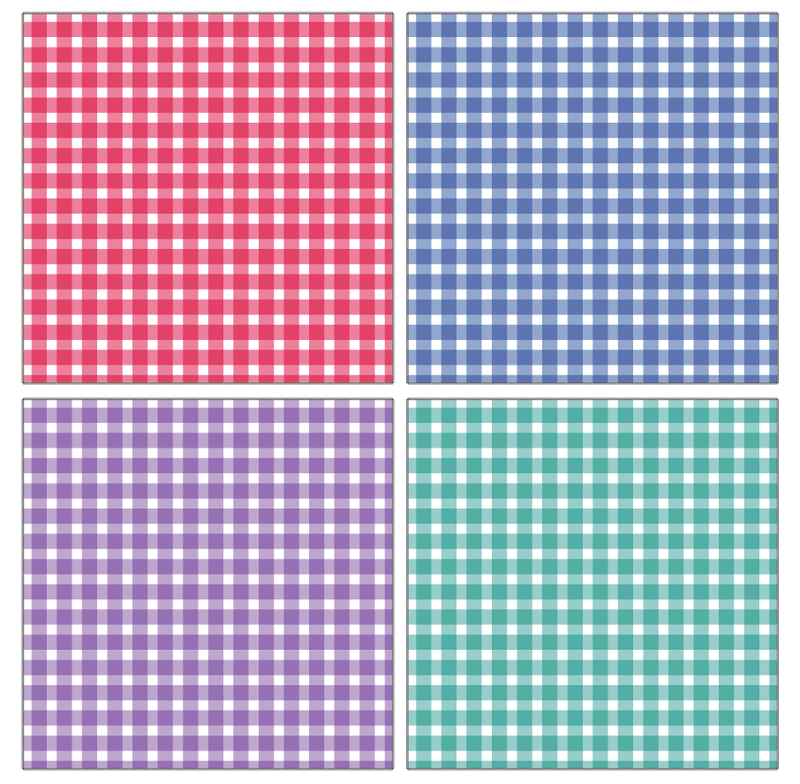 The gingham pattern is popular in weaving. 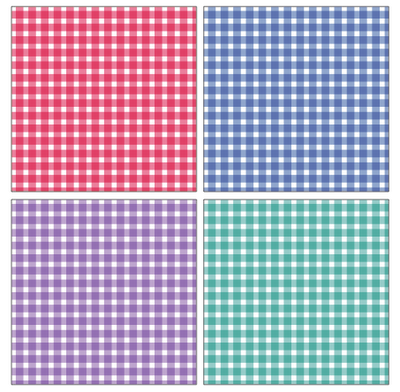 The plaid effect is achieved by a stringing the loom (vertical warp threads) in a striped pattern. Then, when you're weaving your horizontal threads (weft), you weave in the same striped pattern. 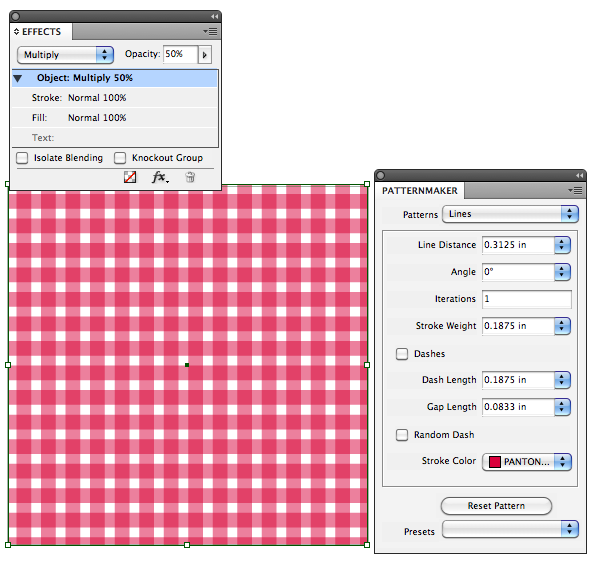 The darkest blocks of color are occur where the dark warp threads and the dark weft threads intersect. The mid-tone color occurs when dark warp threads overlap light weft threads (or vice versa). The white areas occur where white warp threads meet white weft threads. 2. 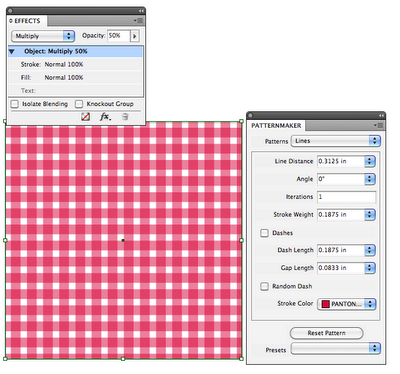 In the Effects panel, set the blend mode to Multiply and the opacity to 50%. 3. Copy and then Paste in Place. 4. Rotate the square 90 degrees. Done! That was so much fun I made four different colors! 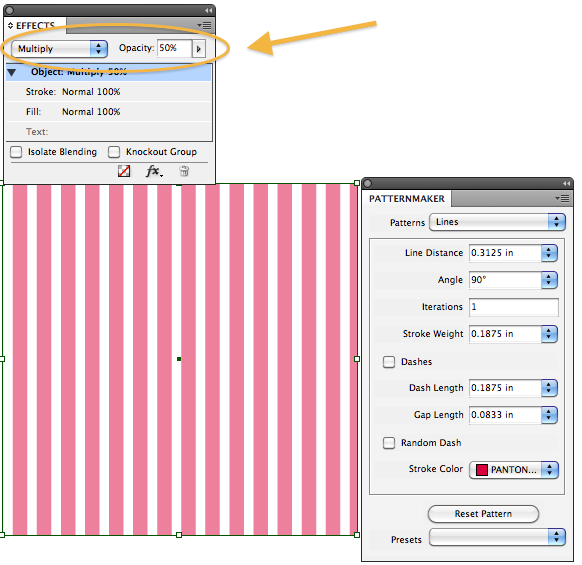 If you like this article, be sure to read my other article: Using Teacup PatternMaker to Mimic Knitted Garter Stitch.